In recent years a spate of books and articles have argued that the world today is so mobile, so interconnected and so integrated that it is, in one prominent assessment, flat. 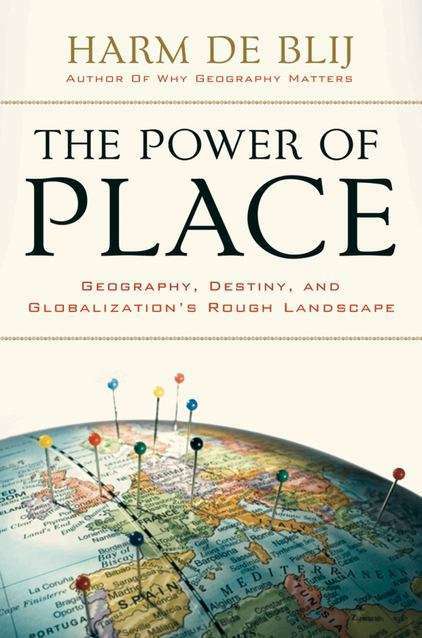 But as Harm de Blij contends in The Power of Place, geography continues to hold billions of people in an unrelenting grip. We are all born into natural and cultural environments that shape what we become, individually and collectively. From our "mother tongue" to our father's faith, from medical risks to natural hazards, where we start our journey has much to do with our destiny, and thus with our chances of overcoming the obstacles in our way. Incorporating a series of revealing maps, de Blij focuses on the rough terrain of the world's human and environmental geography. The world's continuing partition into core and periphery, and apartheid-like obstructions to migration from the former to the latter, help explain why, in this age of globalization, less than 3 percent of "mobals" live in countries other than where they were born. Maps of language distribution suggest why English, the Latin of the latter day, may become as hybridized as its forerunner. The fateful map of religion casts a shadow of what he calls "endarkenment" over the future of the planet in a time of increasingly destructive weaponry. De Blij also looks at the ways we are redefining place so as to make its power even more potent than it has been, with troubling implications for the future. Optimistic demographic projections based on declining national populations in the global core are tempered by the prospect that the vast majority of the 3 billion additions to the world's population will burden the periphery. Megacities such as Lagos and Jakarta with their corridors and nodes of globalization foreshadow a future of potentially explosive social contrasts. Subnational entities from southern Sudan to northern Sri Lanka seek independence at a time when the planet's limited living space is already fragmented into 200 states. Looking down from the business-class compartment of a transcontinental airliner, the world looks a lot flatter than it does from the doorway of a dwelling in a local village. Harm de Blij brings us back to earth to reveal the all-too-rugged contours of place.